DAREDEVIL editor Stephen Wacker shared some more artwork on Twitter today... a page from DAREDEVIL 8 and a penciled page from DAREDEVIL 9. Daredevil 8 by Kano and @javiercaster . Spidey and Black Cat guest star. @MarkWaid writes. @JoeCaramagna letters. twitter.com/StephenWacker/. And let's not forget @PaoloMRivera and his mediocre work on #Daredevil. See this page from 9 before his dad inks! twitter.com/StephenWacker/. 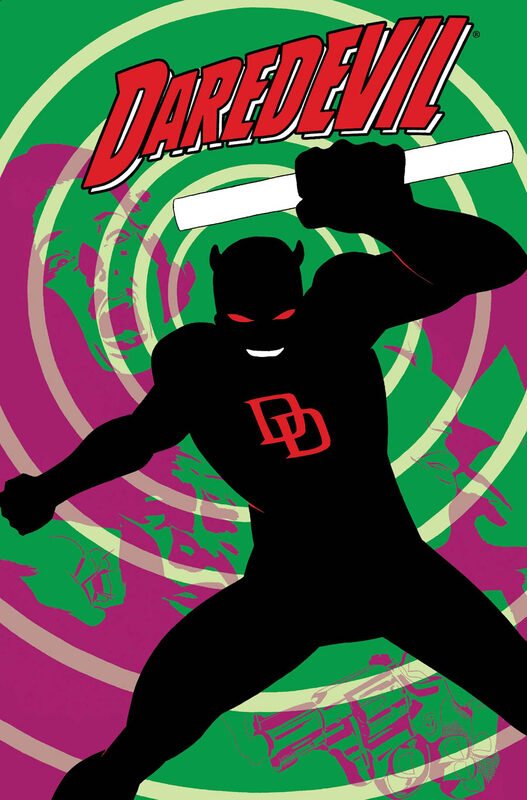 2011 saw 7 issues of DAREDEVIL, with 17 different covers (variants and second printings). Which one do you think was the best DAREDEVIL cover of the year? "Man w/o Fear"/"A Bonus Tale"
"Red, White, Black and Blue!" "The Most Wanted Man Alive"
Please visit the board and have your say! If you're not a member of the message board, please register and join in the discussion! Vote for your favourite cover here! While not an official Daredevil motion comic, this class assignment by Atom Phly Media utilizes MARVEL COMICS PRESENTS #72 (from 1988) which features Daredevil. It's a pretty good project, so have a look! Daredevil Motion Comic from Atom Phly Media on Vimeo. March 2012 solicits are now up! DAREDEVIL #10, DAREDEVIL: SEASON ONE PREMIERE HC, NEW AVENGERS #23 and a new collection for ELEKTRA BY GREG RUCKA! Also be sure to order the DAREDEVIL #10 poster as well. The Comic Archive has posted a cool time lapse video of Paolo Rivera completing the cover to DAREDEVIL 10, which ships in March. Enjoy! DAREDEVIL editor Stephen Wacker posted a page from issue 8 on Twitter... have a look! Jumping on a plane but before I do check out this Daredevil 8 page by Kano. It's gonna be a bad day for DD. twitter.com/StephenWacker/. November sales estimates are now in and Daredevil #6 saw a slight decline to 38.3K, down from 39.4K in October, giving it a ranking of 58. Hopefully this downward trend is just a blip as stores adjust their orders because of the critical acclaim the title is getting under Waid, Rivera and Martin. 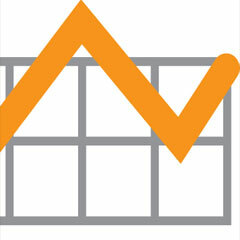 As always, check back for updates on sales data here on the site (and forthcoming promos to boost sales!). Back when Steve Englehart and Ann Nocenti were writing DAREDEVIL, a young new artist at Marvel named Louis Williams was drawing our favourite hero in battles against Rotgut and the Nameless One. I've stumbled upon a rare interview with him from a newspaper in 1986 that was archived on google. Williams was just starting out (only two months in). Enjoy! It's been quite the year for DAREDEVIL, considering the uncertainty with the title at the start of the year. SHADOWLAND and DAREDEVIL had ended in late 2010 and DAREDEVIL: REBORN was set to come out in January... but no word on when or if DAREDEVIL was going to return anytime soon after. But as we all know, the relaunch of DAREDEVIL has been critically well-received under Mark Waid, Paolo Rivera and Marcos Martin. The year is almost over, so let's have a quick look at all the highlights from the year. DAREDEVIL: REBORN #1 ships, by Andy Diggle and Davide Gianfelice. Marvel announces BIG SHOTS, with news of DAREDEVIL returning in July... but no word on who the creative team is. VARIETY reports that David Slade will be directing the DAREDEVIL movie for FOX. The DAREDEVIL team of Mark Waid, Paolo Rivera and Marcos Martin is announced at C2E2. The final issue of DAREDEVIL: REBORN ships. Colour preview of DAREDEVIL #1 is released by Marvel. VARIETY reports that Brad Caleb Kane has been hired to write the DAREDEVIL movie. Daredevil joins the New Avengers! Marvel does a week long feature on the World of Daredevil. DAREDEVIL legend Gene "The Dean" Colan passes away. 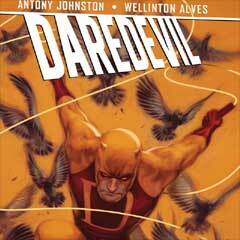 DAREDEVIL: SEASON ONE is announced by Antony Johnston & Wellinton Alves. DAREDEVIL #1 ships with 5 covers, and places in the Top Ten. Issues #1-4 will all go back for second printings. Marvel releases an audio edition of DAREDEVIL #1. Marvel says DAREDEVIL: END OF DAYS is still on track for 2012. News of crossover with AMAZING SPIDER-MAN and PUNISHER. IGN names DAREDEVIL "Best Marvel Comic" of 2011! Hope you enjoyed this look back at the big DD news from the year. DAREDEVIL #7 ships next week, and we will be getting lots of great DD comics next year. As always, check back for updates! While we knew the Daredevil movie was being written, FOX has never officially said the movie was an actual project... until now.. FOX's Tom Rothman spoke with MTV Splashpage and discussed a number of FOX comic films in development! Brad Caleb Kane, of course, is the man who has been hired to do the screenplay, which will be based on the Born Again storyline. CBR's Axel-in-Charge column for Friday has lots of previews that are DAREDEVIL-related. There's a page from DAREDEVIL #7, the variant cover to DAREDEVIL #8 by Lee Bermejo and a great cover to DAREDEVIL #10 by Paolo Rivera. There's also artwork from PUNISHER #7 and #8, which features some artwork by Marco Checchetto and Michael Lark, and guest-stars Daredevil. And there's some preview artwork from AMAZING SPIDER-MAN, which will also guest-star DD in the coming months. Check 'em out! CBR has posted another Mark Waid interview, and Dave Richards speaks with the writer of DAREDEVIL about issues 6-8. There are also several sneak pages of this week's issue! If you've never checked out the FANS section of the site, have a look at some of the new contributions. If you've got any Fan Art, Sketches, Costumes, Tattoos, or cool pics of your Daredevil collection, please send 'em my way. CONTACT ME with your pics! Next week's DAREDEVIL 6 is now available for preview, by Mark Waid and Marcos Martin! The concluding issue to the current arc ships November 30th! Tucker Stone has a new interview up at ComiXology with DAREDEVIL writer Mark Waid. They discuss plenty of things, including Paolo Rivera, Marcos Martin (and the search for his replacement) and what's to come for the title. PUNISHER writer Greg Rucka was interviewed at CBR, and he discusses the series and the forthcoming story which will feature Daredevil. That issue will be drawn by Michael Lark. There are also clues from a past Punisher/DD crossover that you may want to read. PAOLO RIVERA Returns to DAREDEVIL! Superstar artist Paolo Rivera re-joins blockbuster writer Mark Waid in Daredevil #7 for a perfect jumping on point in the life of Matt Murdock. Daredevil can't shake the target he's painted on his back and as a result of the shocking discovery in Daredevil #6, everyone is in danger! There's an important decision that Matt must make and it's result will forever change those closest to him... friend and foe alike. This December, find out why fans and critics can't get enough Matt Murdock in Daredevil #7! Full solicits are now up on the site. DAREDEVIL #9, the final issue of BLACK PANTHER #529, and a double dose of NEW AVENGERS #21 and #22! I recently had a chance to speak with former DAREDEVIL artist Roberto De La Torre about his stint on the title. Hope you enjoy it and thanks to Mr. De La Torre! Daredevil returns to the pages of NEW AVENGERS! DARK AVENGERS ASSEMBLE In NEW AVENGERS #19! Norman Osborn's new Dark Avengers are put to the test next month in New Avengers #19, courtesy of the blockbuster creative team of Brian Michael Bendis and Mike Deodato! The new and improved H.A.M.M.E.R., led by Osborn, is out for revenge and failure is not an option for his new Dark Avengers. And when the New Avengers find out who their doppelgangers are, it will send shockwaves throughout the team. Get your front row ticket to the action in New Avengers #19! I've posted a new interview with former DAREDEVIL editor Stuart Moore, where we talk about Wake Up, Playing to the Camera, Underboss, Out and Trial of the Century! I hope you enjoy this look into these great arcs from the Marvel Knights era of Volume 2. Many thanks to Mr. Moore for this opportunity! Fanboy Video had a chance to do an interview with Mark Waid when he made an appearance at Zeus Comics in Dallas. Waid talks about DD's recent history and where he wants to take the title. Please check out the video! Thanks to Alice for the tip! CBR has posted an interview with former DAREDEVIL artist Alex Maleev, that was conducted at the recent New York Comic Con. Maleev talks about working with Brian Michael Bendis and discusses his art technique. Your First Look DAREDEVIL #6! It's Daredevil vs. the Bruiser: Round One, as Marvel is pleased to present your first look at Daredevil #6! From the critically acclaimed creative team of Mark Waid and Marcos Martin, Daredevil must go head to head against a contract fighter who can't be put down and making Matt's life a living nightmare. How Daredevil survives, you'll have to read to find out... but the result makes him the most dangerous man in the Marvel Universe. Get in on the action this November in Daredevil #6! One of the most popular questions I get asked in email every single day is "When is DAREDEVIL going to be available digitally?"... and it looks like we finally have an answer. Marvel will be making all their superhero comics available digitally the same day as print. By the end of March, 2012, all your favourite Marvel comics will be "day and date" digitally. What do you think? Are you going to make the switch? Got a new set of Fan Costume pics to share, this time submitted by "frankiebeans", who attended the NY Comic Con dressed as our favourite hero! The Comics Should Be Good column at CBR has posted their results for the "Greatest Daredevil Stories Ever Told!". Some good choices but, of course, some of your favourites might be missing. Check out the results! Paolo Rivera has posted some info on the cover to DAREDEVIL 8 and the process he used to create it. Check out his blog! Just wanted to share something cool I got last week... a delicious plate of Daredevil cookies! My friend Leena made them for me, using Daredevil covers printed on edible paper. How cool is that? Forthcoming DAREDEVIL director David Slade has another gig on his plate... directing Ed Brubaker & Sean Phillips' COWARD story from CRIMINAL! Brubaker will be adapting his own story. No word on which project happens first, but maybe Brubaker can give Slade some tips whenever DD happens. DAREDEVIL artist Paolo Rivera's original artwork from the first few issues of the relaunched series are now available for purchase. Pages are going fast, but there's still plenty of great pages left. Even if you can't afford the pages, check them out to see the linework before they were coloured. Marvel's January 2012 solicitations are now up, and we've got confirmation of the news reported here in the shipping updates for the past few months... that DAREDEVIL by Mark Waid Vol. 1 HC and DAREDEVIL by Brubaker/Lark Ultimate Collection Vol. 1 TPB are both coming in January. Also, DD is crossing over with ASM, as you already know, and BLACK PANTHER continues his battles with a certain well-known villain. WizKids has announced some new Daredevil Heroclix that will be released, including a Matt Murdock and Shadowland version! The wait is over, as next week's DAREDEVIL 5 is available for preview! By Mark Waid, Marcos Martin & Javier Rodriguez and ships October 26th! The Mutant A Day web site caught up with DAREDEVIL writer Mark Waid at his appearance at Zeus Comics in Texas, and recorded an interview. We learn more about what villains will be coming up and where Waid gets his inspiration for Matt Murdock's characterization. There was some pretty big news from the Amazing Spider-Man panel at this weekend's New York Comic Convention... looks like we will be getting a crossover between Spidey and DD, starting with DAREDEVIL #8 and AMAZING SPIDER-MAN #677. Check out CBR's report of the panel, with lots of preview artwork! Another DD fan has sent me pics of their collection to display on the site. Dimitris Pap sent me pics of all his statues, figures and posters. If you've got some pics of your collection send 'em my way! Editor Stephen Wacker posted a penciled page from DAREDEVIL #7 by Paolo Rivera, on Twitter today. Check it out! DAREDEVIL #7 ships in December. Sales data for September has now been updated on the site, and DAREDEVIL #3 & #4 are holding steady around the 40K mark. It's good to see there hasn't been a drop off from #2 and #4 is actually higher than #3. The archive has data in place from 1996, so check it out if you want to see how DD and other DD-related titles have done over the years. 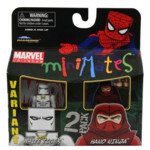 The next Minimates set has been revealed and it will be based on the Death of Jean DeWolff storyline from Spider-Man. In the set, there's going to be Punisher, Spidey, Sin Eater and... Daredevil! Here are the latest updates to let you know what is coming that is DAREDEVIL-related. Marvel hasn't announced it yet, but DAREDEVIL #4 is going back for a 2nd printing. I had the chance to interview former DAREDEVIL editor Tim Tuohy about his time at Marvel and what it was like to really work on the Flying Blind arc, MARVEL VISION and lots more. Hope you guys like it! As you've no doubt seen last week, the Daredevil '83 fan film was released, and I've had a chance to speak with director Chris .R. Notarile, and actors Nick Groch and Mandy Evans. Hope you guys like this chat about the story and filming. I know a lot of you are Elektra fans as well, so be sure to check out upcoming issues of Herc, as she will be making an appearance there. Be sure to check out the latest AXEL-IN-CHARGE column at CBR for some preview art. Also, be sure to check out the latest PUNISHERMAX arc, as Elektra is appearing there as well. DAREDEVIL: SEASON ONE is coming in April of next year and iFanboy has a new interview with artist Wellinton Alves. There are also some cool early pages from Alves, so check it out! DAREDEVIL editor Stephen Wacker shared a page from the next issue on Twitter! Marvel's solicits for December 2011 are now posted on the site. Paolo Rivera returns, and there will be two covers... one by Rivera and one celebrating Marvel's 50th anniversary (didn't we just have the 70th anniversary?) by Alex Maleev in homage to a familiar Spidey pose. There's also some interesting developments in BLACK PANTHER and NEW AVENGERS! The new DAREDEVIL '83 fan film from Blinky Productions is now online! Watch for some appearances from some familiar faces in the Marvel Universe. The story is a spin-off from the PUNISHER '79-'82 series. I will be conducting an interview with actors Nick Groch (DD) and Mandy Evans (Typhoid Mary), so watch for that coming soon. The fan film does have coarse language and violence, so it's not for kids. Comics and Daredevil fan feildmouse let me know of a song he's written about Daredevil's former foe... Bullseye! Have a listen and let him know what you think! Listener discretion advised! DAREDEVIL artist Paolo Rivera posted some reference pictures and sketches from issue #3 on his blog. Rivera shows some of his layouts, pencils and blue-line prints. Some updates to let you know about... including a second printing of DAREDEVIL #2, which is coming October 19. Also, worth noting is that DAREDEVIL #5 was incorrectly solicited with a variant Bryan Hitch cover. Diamond has updated comic stores that this will not ship. Marvel's solicits for December 2011 are trickling online on various sites, and IGN has DAREDEVIL #7 info, exclusively. Paolo Rivera returns, and there will be two covers... one by Rivera and one celebrating Marvel's 50th anniversary (didn't we just have the 70th anniversary?) by Alex Maleev in homage to a familiar Spidey pose. Be sure to check back as full solicits come online soon! AbnormalUse.com, a blog run by lawyers to discuss Federal and State Products Liability Litigation, has a new interview up with current DAREDEVIL writer Mark Waid, where they discuss Matt Murdock's job, and the research Waid does for the comic. Interesting stuff! Sales data for August has now been updated on the site, and DAREDEVIL #2 has had a slight drop to 41K from DAREDEVIL #1's 65K. Issue #2's numbers are in line with the last few issues of Volume 2. If you've never seen his first batch of pics he sent me last year, Daredevil fan Marcus Plato has sent me a new set of pics of his great collection of DD merchandise. Check out his rooms full of posters, statues, figures and lots more! If you've got a collection you'd like to share, please let me know! Mandy Evans is playing Typhoid Mary and Nick Grock is playing Daredevil. It will be inspired in part by the Daredevil/Deadpool '97 annual, which focuses on Matt's history with Typhoid Mary. It is going to be filmed in Hell's Kitchen at St. Paul the Apostle's Cathedral. So, check back on the 25th, when the film will make its debut! I've found out some new information on Daredevil collections coming our way, and I thought I'd give a quick update on items shipping that will be of interest to DD fans! Of course, always visit the PREVIEWS page, for all the latest updates on ship dates. Lots of items coming in 2012! The DAREDEVIL movie reboot is currently being written by Brad Caleb Kane and will be directed by David Slade (Hard Candy, 30 Days of Night, Twilight: Eclipse). Slade had this to say on Twitter, when asked the status of the reboot: "The Daredevil news is simply that we are taking the time to get the script right. No casting, or other decisions will be made until then." Kane also tweeted last week, asking this curious question: "I've always wondered what The Wire would be like with a superhero on it?" I had also asked Kane in July what his favourite "Born Again" quote was, and he responded "Who's gonna talk about Matt Murdock????". As always, please check out the DAREDEVIL MESSAGE BOARD for discussion on the movie reboot! Next week's Daredevil previews are now available, including DAREDEVIL #3, DD's first issue in the NEW AVENGERS #16, and BLACK PANTHER #523! 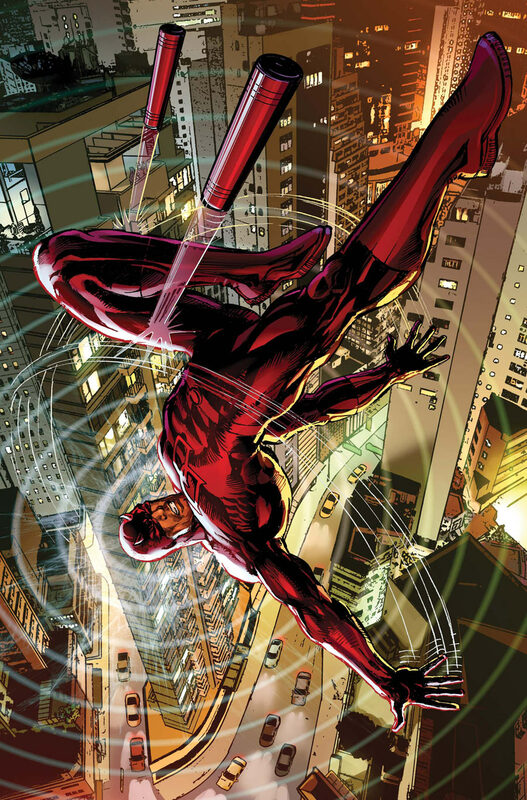 The UK's Insight Radio had a chance to speak with DAREDEVIL writer Mark Waid and have posted an mp3 of the interview. Insight Radio bills itself as Europe's first radio station for blind and partially sighted people. 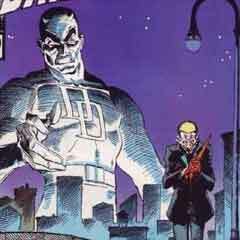 Interviewer Stephen Carroll and Waid discuss the history of DD and the character's "blindness". Fan Expo Canada was last weekend, and I went to the show on Sunday. I thought I'd share some of the cool Daredevil things I purchased. Daredevil sketch cover drawn by my buddy Hugh Rookwood! DAREDEVIL artist Paolo Rivera shared some behind-the-scenes reference work for a page from issue #1 with Matt and Kirsten McDuffie. There are also some preliminary sketches. It's a cool look at what Rivera researches and prepares before the final product. Your First Look At DAREDEVIL #4 -- FEATURING MARCOS MARTIN! Marvel is pleased to present your first look at Daredevil #4! Superstar artist Marcos Martin joins fan-favorite writer Mark Waid for the series that fans and critics can't get enough of! Matt Murdock begins a new career, and it's one that will expose Daredevil to crime and evil in a whole new way! And that's not all because for those who missed the death defying debut issue of this hot new series -- Marvel's got you covered by going back to press with the Daredevil #1 Second Printing Variant! Get in on all the action this September, only in Daredevil #4 and Daredevil #1 Second Printing Variant! MTV is at it again, this time bringing us an interview with DAREDEVIL writer Mark Waid conducted at the Baltimore Comic-Con. Waid talks about DD's new direction and his collaborators Paolo Rivera and Marcos Martin! MTV interviewed forthcoming DAREDEVIL: SEASON ONE writer Antony Johnston and artist Wellinton Alves about the original graphic novel that will be coming our way in April 2012. They discuss the origin story and what original issues serve as a reference. Marvel has posted a new interview with DAREDEVIL writer Mark Waid, and there's also lots of preview artwork from issue #3 by Paolo Rivera! Full Marvel solicits for November are now up on the site as usual... lots of stuff, including DAREDEVIL #6, NEW AVENGERS #18, BLACK PANTHER #525, a TPB of DAREDEVIL: REBORN and a new PREMIERE EDITION of ELEKTRA: ASSASSIN! CBR has an exclusive look at Daredevil's first issue as a New Avenger... and check out the weapon he is using! Marvel.com has produced a very cool audio edition of DAREDEVIL #1, with writer Mark Waid, editor Stephen Wacker, associate editor Tom Brennan, assistant editors Ellie Pyle and Jordan White, and Marvel.com editor Ben Morse providing voices. The idea is that visually impaired DD fans can also enjoy the first issue for the relaunch. Good job, Marvel! Next week's DAREDEVIL #2 is now available for preview, by Mark Waid & Paolo Rivera! Daredevil artist Paolo Rivera has been posting some sketches and art processes used for the book, on Twitter. Check them out! Marko Manev has produced some really cool minimalist posters based on superheroes, and my favourite, of course, is the Daredevil one! Next year, immerse yourselves in the Marvel Universe like never before as the world's greatest super heroes star in a line of all-new graphic novels with Marvel: Season One! Aimed at new and old readers alike, the first wave featuring Spider-Man, the Fantastic Four, Daredevil and The X-Men, brings readers a complete story, modernizing the seminal origins of these characters while also offering new revelations for long-time fans. There will be one graphic novel on sale each month starting in February. "With Marvel Season One we've assembled a group of great creators who're delivering exciting, iconic, in-continuity stories of our most popular heroes," said Tom Brevoort, Marvel SVP/Executive Editor. "If you're a new fan, you can start your journey into comics with Season One and if you're a seasoned fan you'll find some thrilling new insight into your favorite characters." "Marvel: Season One is all about bringing new readers to comics and comic stores around the world", said David Gabriel, Marvel SVP of Sales. "We've been working on these for over a year and can't wait for fans to see the results... they're stunning! More news about the promotional and incentive plans for retailers will follow in the next few weeks." Whether you're picking up a comic for the first time, or looking to add more to your comics reading experience, then it's time to discover the world's greatest super heroes all over again in Marvel: Season One! Stay Tuned for updates and announcements over the next few weeks. Longtime Daredevil fan and regular contributor to the message board, Pete Gouldson, wrote this poignant obit for "The Dean" Gene Colan, and wanted to share it with all the readers of this site. Here it is in its entirety, and thanks Pete, and thank you Mr. Gene Colan. It couldn't have been easy, being Gene Colan. The artist himself spoke at length about the sacrifices involved in his craft, the time spent in lonely solitude long into the early hours, meeting deadlines in the days when deadlines meant something. At great personal loss to his family, and to the deep regret of the man himself in later life, the time that could have been spent with loved ones would often instead find him slumped over his drawing board. Hours ticked by, deep into weekends, deep into night. The burning glow of the table lamp pierced the dimness and cast long shadows on the wall as his pencils gave texture to his own imaginary shapes with their own imaginary shadows. Here a unique world was conjured within the itself unique world of comic books. A fine wine of the rarest vintage, here was a rare cinematic elegance in an industry which then as now looked at the bottom line, where copy was everything, and successful formulas were understandably copied and churned out. Although such a mindset is prevalent within most other artistic forms, many within and around comic books suffer an inferiority complex and see it most of the time as silly, escapist, fun for kids. But Gene Colan was serious about his work, and he wanted us to be serious about it too. At Marvel, as the Sixties turned into the Seventies, the dynamic style and vision bestowed to the form by Jack Kirby had started to be copied and regurgitated. Many of the new artists emerging where producing, in retrospect, just a watered down version of Kirby's genius. But it could never be equalled. Many like Barry Smith would go on to evolve their own distinctive style, others such as Neal Adams where often held up as superior to 'The King', but much of his work and others at this point still use the language and syntax of Kirby. Stan Lee was at pains to get Kirby to show the likes of John Romita and John Buscema just how it should be done. But Lee was astute enough to know that in Colan he had an artist who was just, well, different. As early as the mid 1960's Colan had managed to evolve a style and storytelling technique all his own. A man, when let loose by Lee using the famous 'Marvel Method', who had left the scribe exasperated when pencils came back on an early Daredevil with a whole page devoted to someone turning a doorknob and walking through a door. Left of field, a loose canon perhaps, but it seemed somehow beneficial to keep Colan around the by-then imaginary Bullpen, a gentle breeze wafting through the open curtains; an understated complement perhaps to the Kirbyesque tornado pulverising all in its path. On first sight, to these then young eyes, Colan's gentle breeze actually felt like a tornado and was something of a shock. It certainly wasn't easy to discern the feelings I felt when viewing his artwork for the very first time. In retrospect I was lucky, I've always preferred the Colan experience to be in glorious black and white, and I was doubly lucky in that his work graced the pages of my then, as now, favourite Marvel character, Daredevil. It was the 26th January 1974, and the character had just returned by popular demand to the weekly anthology flagship title 'The Mighty World of Marvel'. The strip had earlier ran through reprinting DD Volume 1, #1 through #6, each split into two parts alongside other reprints featuring early issues of The Incredible Hulk and The Fantastic Four. The strip was a hit, but had given way to make room for a double helping of the more popular Hulk. After the demand for the strips return saw a return to the Hulk/DD/ FF line up, before carrying on where they left off with DD#7, the editors quite rightly decided to reintroduce the character with an origin story, a reprint of the Roy Thomas / Gene Colan DD #53 from the late 1960's. Despite Thomas using the same linier progression and even much of the very same dialogue as originally used by Lee, the artwork inhabited a different dimension from the original Bill Everett depiction. Here, in black and white, alongside a Herb Trimbe Hulk and a Kirby FF, Colans pencils ooze mood and menace. The atmosphere created is one of high tension; there are things at stake here, beyond the usual superhero ballyhoo. As a young reader, the safety net somehow seemed to be missing, the panel layout itself was disorientating, the unusual shapes swirl around the page avoiding the guidelines I'd been used to. The angles each panel were 'shot' were unusual, body proportions looked odd, looking as we were from obscure angles. Colan 'shoots' a good Samaritan asking a newly blinded Murdock if he needs help crossing the road from the bottom up, giving a visual that seems seeped in intrigue and drama so strong it could warrant a cliff hanger ending. I sensed that here was an artist who didn't play by any rules I'd come across as yet. The whole thing almost made me dizzy, Gene had made me work harder than I ever had thus far, trying to decipher his visual cues, even in this retelling of a story I already knew and had read less than a year earlier. It was almost a relief when the strip soon carried on where it had left off; a week or two later we had exquisite Wally Wood artwork back and this strange two week aberration was almost forgotten. But not quite. Because once you've seen Gene Colan's stuff, you can't really forget it. The title eventually started reprinting Colan's DD work from the beginning. Using what I later discovered to be the 'correct' American numbering of the original book, he had started at #20, getting into his stride in my eyes by #25, and in his long run never looked back. Gene was the artist on Daredevil and that wonderful long run of issues mean for many today he still is the Daredevil artist. My lucky break in finding so much of this stuff in the reprint pages of British Marvel meant that the mood and atmosphere created by many Gene Colan pages were witnessed in the first instance in glorious black and white, many of which for me (later purchasing the American originals), had their power and impact diluted with the gaudy addition of colour. I remember one issue being mesmerised by Mr Fear, a Marvel 'B List' ham villain. As realised by Colan, a black and white full page reveal night shot looking up at the character through the rain on a rooftop remains the closest a comic book page has ever come to terrifying me. In retrospect, it's the precise moment that Gene Colan became one of my favourite artists. It was during the 1970's when much of Marvels output began to be rendered in a poor dilution of the wonderfully epic Kirby formula. With the King gone however, and Lee himself taking on a less hands on role in the day to day running of the books, Gene was one of a small handful of artists who actually blossomed. Even if he had always been one of the artists who 'did his own thing', his vision became even more focused at the very point when it became more versatile. Marvel seemed to use him to wide effect, and having already had much success with the likes of Daredevil, Iron Man, Doctor Strange, Captain America, he seemed to thrive even in realms outside of the usual super heroics. The somewhat odd, left of field style of Colan became the cornerstone of one of Marvels best loved 1970's titles, Tomb of Dracula, and he took to it as if here at last was the title he was born to draw. As good as Wolfman's imaginative scripting is, the macabre shadows so central to the world of the Lord of Vampires could not have been rendered than anyone apart from Colan, for much of the time aided by his best inker, Tom Palmer. The art was such an integral part of the book, that when Gene begged off the title due to burn out after a staggering 70 issue run, scribe Marv Wolfman decided that continuing was rather pointless, and the title was cancelled. At the other end of the scale, Gene relished the comedic aspects of Steve Gerber's scripts for Howard the Duck, a cult title that, if dated now, is only down to the fact of Gerbers then relevant social observations, rather than the wonderfully loose and flowing pencils that gave shape to the crazy world of Howard. Gene had a blast having the rare opportunity that he could 'do' comedy and satire too. If regime change at Marvel suddenly saw Colan's style as somewhat out of date as we entered the harsh 1980's, with new young blood entering the fray, rivals DC eagerly employed him to great effect, where work on Batman, Wonder Woman and Night Force among others showed readers what Marvel was missing. Marvel themselves could quite rightly with retrospect look back on their decision to oust Gene as perhaps being correct ( the new young blood on Daredevil went by the name of Frank Miller who went on to revolutionise first the book and eventually, along with the likes of Alan Moore, the industry), but while this particular reader loves what came after as well, he remembers entering the harsh 1980's reliving and enjoying more than ever some wonderful black and white reprints of Colan's work in the UK Marvel Super Adventure weekly. He left us with a lot we can relive and enjoy. Rest In Peace Gene, and thanks for everything. Marvel.com has a feature today that examines several "fear"-related questions about Daredevil, with current DD writer Mark Waid! Daredevil may be called the man without fear... but is he really a man without fear? Marvel has released the latest solicits for October 2011, and among them are DAREDEVIL #5, NEW AVENGERS #17 and BLACK PANTHER #524 (which seems to have dropped its "Man Without Fear"). Have a look at the solicits if you don't mind spoilers! A little bit more Daredevil news came out on Saturday at the show, so here goes! The Spider-Man and his Avenging Friends panel has just ended, and we got lots of interesting news and previews for DAREDEVIL! Lee Weeks will be working on a DAREDEVIL project! There are plans to have Black Widow appear in the title because she needs to have a conversation with Matt. PUNISHER and DAREDEVIL will crossover, with tentative plans around issue #9. DD editor Stephen Wacker sneaked a page from the next issue of DAREDEVIL! The debut issue of DAREDEVIL Volume 3 is now out, by Mark Waid, Paolo Rivera, Marcos Martin and many other talented people. What did you think? Have your say on the message board! DAREDEVIL #1 Ratings, Preview and Discussion! How many of the covers did you pick up? You can check out the latest volume now in the database, as all the coding was completed a few months back in preparation for the relaunch. Some details of the Ultimate Marvel vs Capcom game were released today, and although Daredevil will not be a playable character, there will be a Shadowland stage, with DD sitting in the background amongst the Hand ninja. Earlier today, editor Stephen Wacker posted a great splash page by the great Gene Colan. I asked him if it was too late to dedicate next week's issue of Daredevil to Mr. Colan, and he said he was already ahead of me. Here's a look at the letters page of DAREDEVIL #1! Later in the day, Agent M posted a Paolo Rivera page from DAREDEVIL #2! Excited for the relaunch of DAREDEVIL yet? Will Devokees has completed his Daredevil fan trailer, that he hopes will help him get an audition for the DD movie in production. Please have a look and comments/feedback are welcome! The San Diego Comic Convention is almost here, and Marvel has released all its panel information. Daredevil fans will want to attend the Spider-Man panel on Friday at 1:45, because they are giving away an exclusive Daredevil pin (shown above). Sad news to report, as Gene Colan has passed away. You may be a Miller fan, a Maleev fan... but to me, my Daredevil was drawn by Gene Colan. He made DD swing through the air like a true man without fear. You will be missed, Mr. Colan. I was lucky to have had a chance to correspond with Mr. Colan a few times, and work on his website with Kevin Hall. I am also lucky to have had a chance to get an original piece drawn, with DD and Black Widow. Gene Colan worked on over 96 issues of DAREDEVIL! Go read some DD comics by Gene Colan! Here are some prints that I own of Colan art. I hope you enjoy them! Marvel.com will have a special live blog on FRIDAY JUNE 24, at 3PM EDT, with DD writer Mark Waid, artist Paolo Rivera and editor Stephen Wacker. If you can't make it, the transcript will be available on the same page afterwards. So, sign in at 3PM on Friday and get your questions answered! Lots more quotes from the blog... click on the link above to read the replay! Newsarama has a new interview with NEW AVENGERS writer Brian Michael Bendis, where he goes into further details about DD's membership in the group. There's also a sneak peek of the cover to issue #17! Marvel.com will be having a week-long feature on our favourite hero, as writer Mark Waid answers questions about the character and his supporting cast. The first part is now up, and Waid answers a lot of questions that relate to "Who is Matt Murdock?". On Tuesday, Waid will focus on DD's rogues gallery, so be sure to check back this whole week. There are also two new preview pages of DAREDEVIL #1 by Paolo Rivera, which feature Matt Murdock and an unknown female. UPDATE: Second part is now up! Waid looks at DD's villains. UPDATE: Third part is now up! Some sneak peeks at DD artwork. UPDATE: Fourth part is now up! Waid talks about DD's supporting cast. The Daredevil news keeps on coming, as now we learn that our hero will be joining the New Avengers starting in September. USA Today has an interview with Brian Michael Bendis about this latest development, and there's also news that the long-delayed DAREDEVIL: END OF DAYS will finally come out this fall as well. So what do you think? Have your say on the MESSAGE BOARD! FEAR ITSELF Brings DAREDEVIL To The NEW AVENGERS! 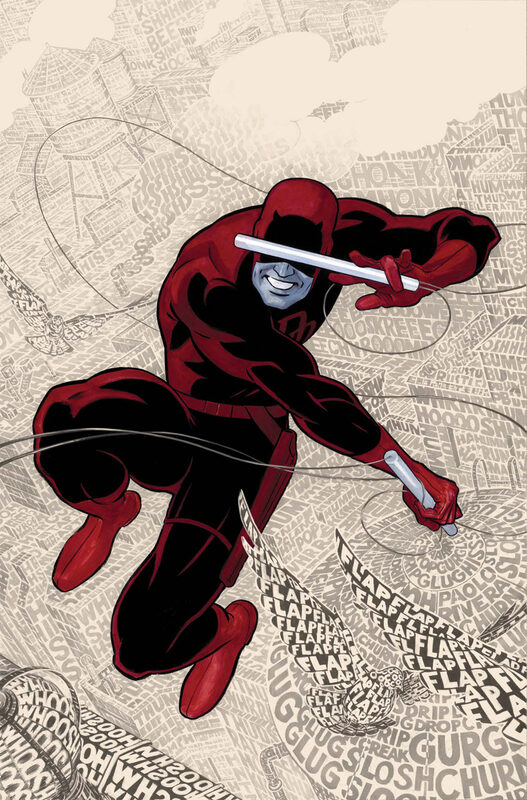 With the chaos of Fear Itself running rampant on the Marvel Universe, there's only one man who can help the New Avengers in their fight, Daredevil -- the Man Without Fear! That's right True Believer, this September courtesy of Marvel Architects Brian Michael Bendis and Mike Deodato, the guardian devil himself finally joins the ranks of Earth's Mightiest in New Avengers #16! But is the assistance of Matt Murdock be enough to help the New Avengers make it out in one piece? The Man Without Fear enlists in the fight against the God of Fear in New Avengers #16! For more on Daredevil joining the New Avengers, check out Marvel.com! Today, several online sites posted more about Brad Caleb Kane, including some confirmation of sorts of the rumour of the storyline. Kane is a writer on FRINGE and is a big DD fan. Kane responded to a "good luck" tweet of mine by saying "Thnks. We'll do our best to do right by him (and the fans!)" Director David Slade also tweeted "Yes, Brad and I are meeting daily to work on the script, and yes "Born Again" is our main source material with all its grittiness." So, what do you think? Have your say on the MESSAGE BOARD! THE MOST DANGEROUS MAN ALIVE! Find out what has made the Man Without Fear the Most Dangerous Man Alive only at Marvel.com! Does this mean DAREDEVIL will get its MAN WITHOUT FEAR title back? USAToday has a feature on the new DAREDEVIL series, including some comments from writer Mark Waid, artist Paolo Rivera and editor Stephen Wacker. There are also some coloured pages that we have not seen yet with Foggy and Matt. You may not know this book exists, but there was an ELEKTRA JUNIOR NOVEL when the movie came out. I got in touch with the writer, Stephen D. Sullivan, and we discussed adapting the movie and what he felt about the final product. Hope you guys enjoy! Your First Look At DAREDEVIL #1! Marvel is pleased to present your first look at Daredevil #1, from the creative dream team of Mark Waid, Paolo Rivera and Marcos Martin! Daredevil's exciting new journey begins as he retakes the alleys and rooftops of New York City with monumental life changes, new enemies, new friends and a new role in the Marvel Universe! Billy club in hand, Matt Murdock must tackle his greatest challenges yet, but will he be welcomed back to New York with open arms? Who will stand in his way and can Daredevil be trusted? Find out as Daredevil soars to new heights in the double-sized Daredevil#1, this July! Variant cover by JOHN ROMITA SR. Some new previews have been added to the site, so please check them out! Marvel Senior Art Director Jeff Suter chatted with Mark Waid recently about all things DAREDEVIL for the new Mighty Marvel Podcast. Have a listen as they discuss comparisons to Spider-Man, past DD stories and who may be appearing in the pages of DAREDEVIL #1 that ships in July. Marvel's August solicits are now up, including DAREDEVIL #2, a BIG SHOTS special, and most of the SHADOWLAND TPB's. If you don't mind being spoiled, then please click on through to see all the solicits! DAREDEVIL artist Paolo Rivera spoke with Newsarama today and we learn more about what we will see when DAREDEVIL returns in July! DAREDEVIL: REBORN is done, and the new DAREDEVIL series is coming in July. CBR has a new interview with writer Mark Waid and artist Paolo Rivera, and there's lots of preview artwork to check out exclusively on their site. As mentioned here a few months ago, there was going to be an Elektra Bishoujo statue... and now we have the first official pics of it! The statue is scheduled to ship in December. From the latest Marvel Previews comes this one page look at some sketches by Paolo Rivera. There are some designs of the new billy club which will have 3 pieces (in a 3-part holster) and will rotate into a hook (and also will be white and red). Upper Deck has a new line of Marvel cards coming out soon which feature cards made from the actual comic. The Marvel Beginnings line will have insert cards made from cut out panels from vintage comics! There will be many DD cards. Have a look! The final issue of DAREDEVIL: REBORN is finally coming out next week and here's the preview, along with the new BLACK PANTHER issue as well! As you all know, there will be 5 covers for DAREDEVIL #1 coming in July, but I noticed that there were going to be some Dynamic Forces signed editions as well. I got in touch with DF, and they let me know about some specials that DD fans may be interested in. Some of the offers expire on May 4th! DAREDEVIL: REBORN #4 has been pushed back to May 11, from the original date of April 20. Did Bill Everett cause The Avengers to be created... because he was late with Daredevil? Here's my new interview with former DD artist Marco Checchetto, who will be taking on the art duties for PUNISHER in the summer. I hope you enjoy this Q&A about "Left Hand Path" and working with Roberto De La Torre! This arcade no longer exists in Niagara Falls (it's now just "Adventure City") but I found this pin there when I visited on Thursday amongst the prizes. I asked if I could buy it and the manager let me have it for free! You've seen the initial promo piece for DAREDEVIL #1... now check out the finished cover by Paolo Rivera! MTV Geek has a new interview with forthcoming DAREDEVIL writer Mark Waid, where we learn more about the new series... including DD's move uptown, and maybe some appearances by surprise villains! No, it's not official, but here's a really cool fan-made motion comic for DAREDEVIL: REBORN #1! I hope you enjoy this new interview I've posted today with Karin Fong of Imaginary Forces. She and her team designed the opening credit sequence for the Daredevil movie (the 2003 version!) and we talked about some of the other ideas they considered before going with the braille and buildings theme. Editor Stephen Wacker shared another page from the final issue of DD: REBORN by Davide Gianfelice! BLACK PANTHER becomes... the AMERICAN PANTHER! Laura Sneddon gives us Daredevil 101! If you missed it, here's the video interview with Mark Waid, talking all about Daredevil! Here's the latest preview for BLACK PANTHER: MAN WITHOUT FEAR! Looks like some interesting developments are ahead for the title, which may mean the tagline "MAN WITHOUT FEAR" could go back to DD... more details after the preview! As mentioned, looks like BLACK PANTHER is going to become... AMERICAN PANTHER! CBR has the exclusive promo! Newsarama has a new interview posted with Mark Waid, where the new DAREDEVIL writer discusses what readers can expect in July. "Shadowland was about as dark as Matt could go, and while Daredevil will not be a happyshinyretrobright series by a long shot, we are gonna tweak the tone a bit and have Matt play a little more firmly in the Marvel Universe proper. A little more humor (people tend to forget that Matt's actually a clever wit), still plenty of danger and menace, still at heart a crime book...but we plan to deliver a Marvel comic that, you know, despite its excellence, won't drive you to drink." "Tonally, it's still very much a crime series, but we're toning down the noir a bit and playing up the high adventure a bit more. He's the Man Without Fear. I want to see that constantly. I want to see him diving face-first into perils that would make Green Lantern shriek like a little girl." "I love playing with how Matt has come to accept and deal with the fact that his dual identity is fairly common knowledge, and how he's now turned that to his advantage." "Oh, they don't trust Matt a lick. To them, Daredevil's become that guy you want to like but who has a reputation of disappointing you at all the wrong times. No one's sure WHERE Matt's head is at when this series begins, including the readers, and together we'll find out." "Forgot to look at the internet for a few weeks and its a litany of false (and not so far off) rumours." "So without breaking confidentiality, yes Daredevil, we have a great outline for a very strong character driven take on Mr Matt Murdock." "It will bare no relation to the previous Daredevil movie in any way. We are at early planning stages and have not yet discussed any cast." And if you want to see how Paolo Rivera painted his DD artwork, check out this video from thecomicarchive.com! Timelapse of Paolo Rivera Painting Daredevil #1 from The Comic Archive on Vimeo. DAREDEVIL: REBORN #3 ships next week and here's the preview! By Andy Diggle, Davide Gianfelice, Matt Hollingsworth, with cover art by Jock! POWER MAN AND IRON FIST #3 also ships next week! DAREDEVIL #1 Creative Team Revealed At C2E2! For more information, be sure to check out the MARVEL: CUP O'JOE panel (room #471) this Saturday at 5:30PM during this year's C2E2 convention in Chicago! Can't make it to Chicago this year? No problem! Marvel.com has you covered with their extensive coverage of C2E2 and they'll be there live blogging the entire event! UPDATE: The information about who is taking over DAREDEVIL is out there on the internet, so you can find out (and you don't have to look too hard). I will not post it until it is officially announced on Saturday. We've been hearing the rumours for a long time and today we've finally learned that "30 Days of Night" and "Twilight: Eclipse" director David Slade will be guiding the new movie which will be a "continuation" of the first movie, but not contain material from the original. UPDATE: The Hollywood Reporter's sources say the storyline will be based on a very familiar arc. As we wait for the next issue of DAREDEVIL: REBORN to ship, and the reveal of who will be taking over volume 3 of DAREDEVIL, how about some DD links to bide the time? A new Interview with Dan Kish who is blind but uses echolocation to "see"
This Bullseye T-Shirt shipped this week! The latest DD TPB from Panini (in Spanish!) from Nocenti/Romita Jr.
Concept art for a new Elektra statue! Don't forget to follow ManWithoutFear.com on Twitter and on Facebook! And I know no one actually cares, but I've finished all the programming involved to have Volume 3 of Daredevil ready to go (created and modified over 50 pages for that) in July. HEROES FOR HIRE #4 ships March 2 and here's the preview! Longtime contributor to the site, JP Nguyen, has started a new webcomic based on Matt Murdock's professional life, entitled "The Murdock Interviews". He plans to complete 12 parts, and has posted his third comic this weekend. Have a read and let him know what you think! The second issue of POWERMAN and IRON FIST ships next week and here's the preview! Marvel is proud to announce Big Shots! A brand new initiative, Big Shots spotlights three major launches of all-new ongoing series for the Marvel Universe's hardest hitting heroes by the comic industry's top creative talent! Kicking off with Moon Knight #1 in May, the Eisner Award-winning team of Brian Michael Bendis and Alex Maleev as they delve deep into the psyche of the titular hero and embark on his greatest adventure yet. Then, the world's most feared vigilante -- Frank Castle -- returns to clean up the streets of Marvel Universe this June in The Punisher #1, from a blockbuster creative team that will have everybody talking. Finally, Matt Murdock returns to New York this July in Daredevil #1 to reclaim his place in the Marvel Universe. But where does the man known as Daredevil belong? "Fans are going to love what we have in store with Big Shots," said Marvel Editor-in-Chief Axel Alonso. "We're taking some of the best Marvel characters that we all know and love and sending them in a brand new direction with some Grade A talent. We want to reach a whole new set of readers while at the same time appeal to long time fans of these great heroes and Big Shots is how we're doing it." This summer, prepare to be blown away by the Big Shots! Want to know the masterminds behind Daredevil and The Punisher? Be sure to check out the Cup O' Joe Panel at this year's C2E2 in Chicago and stay tuned to Marvel.com for more info! So, who do you think the new team is? Have your say on the Message Board. DAREDEVIL: REBORN #2 ships next week and here's the preview! By Andy Diggle, Davide Gianfelice, Matt Hollingsworth, with cover art by Jock! The Other Murdock Papers has a new interview up with former DD writer Antony Johnston! They discuss SHADOWLAND, and BLOOD ON THE STREETS and more! Art Asylum has released pics of series 38 of the Marvel Minimates... the Shadowland edition! Over the past few weeks, DAREDEVIL: REBORN writer Andy Diggle has been posting some pages from the series drawn by David Gianfelice. Also, if you want to buy the cover to issue #1 by Jock, it's now on sale! Three new previews have been added to the site, and all three ship next week! Yes, it's a silly headline, but Colin Bell of ComicBooked.com contacted me a few weeks back to see if I'd be interested in chatting about this site. Comic Booked has been showcasing DD all this month, and Colin wanted to chat with people who ran DD websites. So, here we are, after trying for a few weeks to schedule it. Many thanks to Colin for the interview and I hope all of you enjoy it. Hopefully my rambling doesn't embarrass me too much. CBR's Tim Callahan and Ryan Lindsay have started a conversation about Daredevil's history, and part 1 is now posted. It's an interesting look at their views of what makes the character tick and which creators are worth reading. Thanks to DD fan Aron, who pointed me to DAREDEVIL writer Andy Diggle's web site. Diggle has various scripts available for download, including the full script for DAREDEVIL: REBORN #1. It's an interesting look at the format he uses and the notes he made for artist Davide Gianfelice. Click on the SCRIPTS link in the top nav. This set of pictures is from late last year, but I only saw it this week as DD fan Joe F. sent me the link. It's a behind the scenes look at a photoshoot for Jay Tablante, taken by former ELEKTRA artist Carlo Pagulayan. They even used Pagulayan's costume designs. Letterer Todd Klein has just finished a great study on all the DAREDEVIL logos over the years. I bet you don't know who designed the very first logo! Klein analyzes all the fonts and styles used, and who was responsible for each (with a little help from yours truly as well). Check out all four parts! Another year has passed and suddenly it's 15 years that manwithoutfear.com has been around. Things certainly are different now. When I first started the site, JM DeMatteis was finishing off his run on the title. I hand scanned images to upload, using my 486DX-33 computer and 14.4 modem. Marvel.com didn't even exist yet. I've often been asked why I started the site and why Daredevil in particular. The first part is easy to answer. I was bored. I was studying at university in 1996 and one of my friends was experimenting with this "HTML" thing he was learning. I started playing around with it and put together a pretty basic page. And I kept at it, just adding more info, more images, etc. Back then, it was really difficult to find any DD images online. I was just doing it for myself really. Suddenly, people started emailing me, letting me know they'd checked out the site and liked it. So why Daredevil? Not sure, to be honest. I'd always been a fan and it was the only comic I was collecting at the time. As many others, I had drifted in and out of the comic collecting hobby, but kept getting the latest DD issue. There's something about the character that I've admired ever since I picked up my first Wally Wood issue of DD. Over the years I've had the chance to correspond with hundreds (thousands?) of DD fans all over the world, and even DD creators that I never dreamed I would get a chance to speak with. It is very humbling for me to hear that DD fans know about the site and visit. The site was created to be my way of showing my appreciation for this character and it serves as a resource for old and new fans alike. It's not about me. It's about Daredevil. If you've ever met me, you know it is embarrassing when people make a big deal about the site (or me). I have been very lucky (and I say this every year). I was just in the right place at the right time. It could have been anyone who started a DD site and kept going with it. I spend more time on the site than I really should. But it's worth it. Here are some pics of past incarnations of the site. Hope you guys enjoyed the 2 interviews I posted to help celebrate the anniversary. There might be a surprise interview coming later this month too. 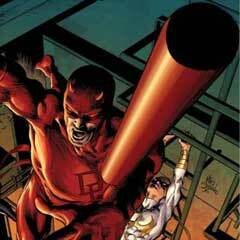 The DAREDEVIL: REBORN interviews continue, as writer Andy Diggle speaks with Newsarama. Remember, DAREDEVIL: REBORN ships tomorrow! In case you missed it, here's the DAREDEVIL: REBORN #1 preview again, along with BLACK PANTHER #514 and HEROES FOR HIRE #2, all shipping on the 12th! We discussed all things SHADOWLAND and he shared some cool sketches. Interview with Christie "Max" Scheele! We discussed her early work and why she left the comics business (and has no regrets about it). I'm working on some more cool things for the anniversary, and hopefully they work out too. I'm glad these two worked out and hope all of you enjoy them! Next week's DAREDEVIL: REBORN #1 is now available for preview at CBR. Written by Andy Diggle and drawn by Davide Gianfelice, with covers by Jock! Happy New Year! The year ahead for Daredevil fans will be an interesting one, as we may not even have a regular DD title to read. REBORN comes our way on the 12th (it was pushed back a week). Brian Michael Bendis has mentioned on his board that DD: END OF DAYS will be coming our way this year as well. So, hopefully, we still have some DD to read and discuss this year. As you've probably noticed, I've changed up the look a bit, in preparation for the 15th anniversary of the site coming on the 16th of this month. I've got quite a few cool things on the go and I hope all the stars align to get those to work out. Anyway, I'll talk about those more if/when they happen on the 16th. And I'll talk more about the anniversary later this month. I can't believe I've been doing this for so long either. So, I hope you continue to enjoy visiting the site and wish you all the best for the new year!